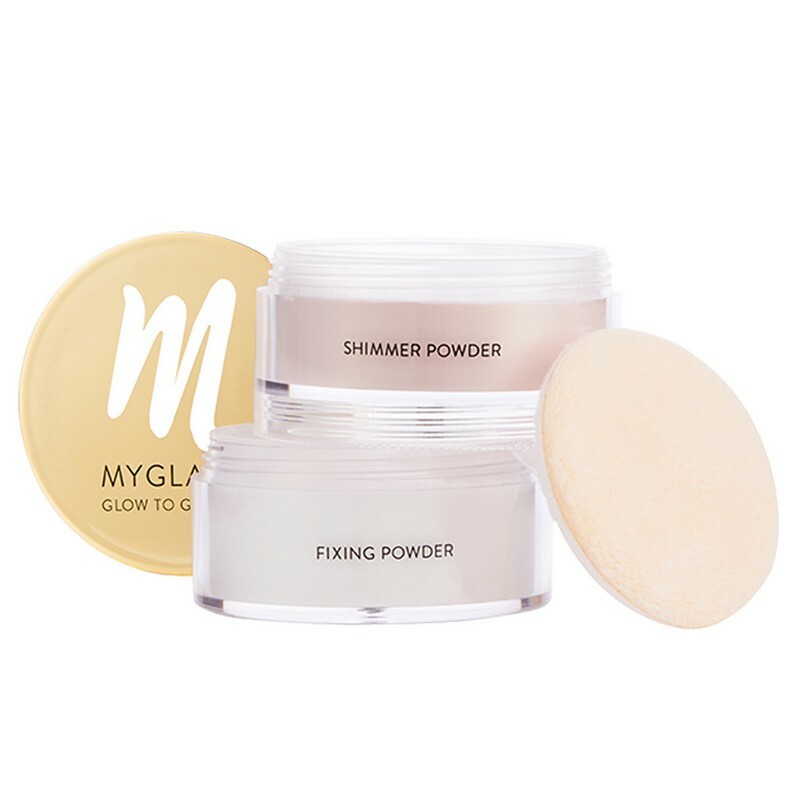 A 2-in-1 pack with shimmer powder and fixing powder. 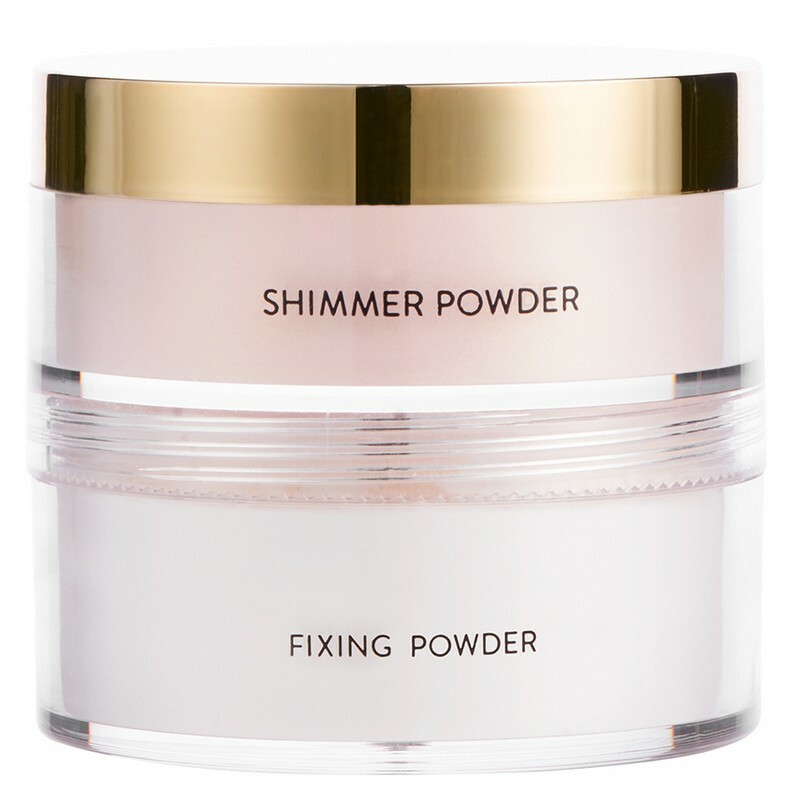 The fixing powder sets the foundation into place, imparting a flawless matte finish. The shimmer powder highlights skin for a radiant appearance. - Buff on to the face and neck in a pressing motion to set and seal any liquid and cream formula. Wear alone, or use it to set foundation and makeup. - Dust a light layer all over the face, or focus on high points like the cheekbones and forehead.